Influenza, also known as the flu or grippe, is an infectious viral disease that affects the upper respiratory system, including your lungs, throat and nose. It is one of the most common health problems, afflicting people across the globe.Common symptoms of influenza are a runny nose, repetitive sneezing, sore throat, congestion in the nasal passages, body aches, headache, high fever, dry cough, weakness and loss of appetite. Here are the top natural home remedies. You should have one or more of these in your medicine cabinet before the flu. Green tea is known to have many properties that can help keep you in tip-top health and therefore better prepared to ward off cold and flu bugs. The jury is out on how many cups of tea are optimal, but 2-3 per day are often recommended. If you do come down with cold or flu symptoms (or feel them coming on), consider 3-4 cups of green tea per day to expedite ridding your body of those nasty bugs and give your body’s defenses an extra jolt. Raw garlic can be helpful in warding off the common cold and flu. But we should note if you’re taking a blood thinner, garlic can increase risk of bleeding. Steam from the soup helps to loosen nasal congestion, and the salt is key for soothing a sore throat. Honey works as a cough suppressant, so medical professionals recommend a teaspoon and a half to help treat a cold and cough.A daily dose of honey can help you to feel energetic and stay healthy. It also has antibacterial and antimicrobial properties; if you do develop a sore or scratchy throat, honey will soothe and help heal. Use it in your tea, coffee, plain hot water or by itself. Lemons are loaded with vitamin C, which is known to support the body’s natural defenses. Lemon (and lime) juice is reported to decrease the strength of the cold and flu virus in the body and reduce phlegm. 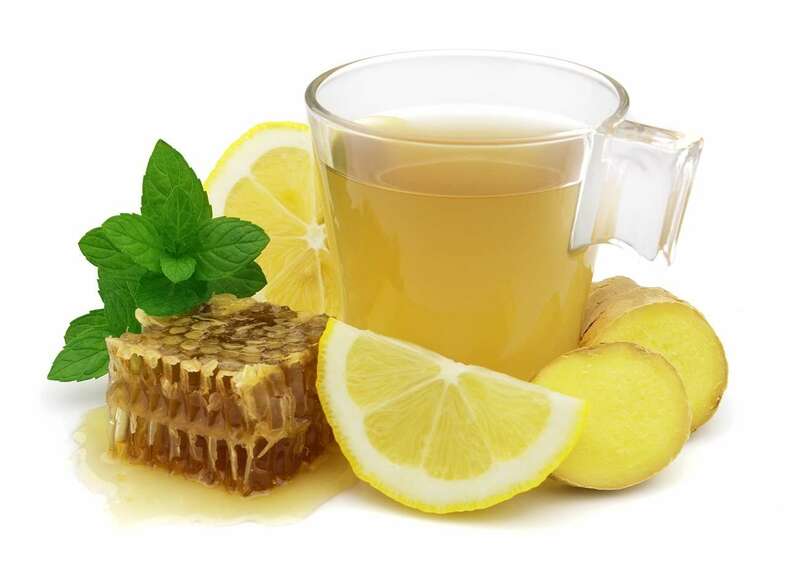 Add lemon juice to your tea or make hot or cold lemonade with honey to stay well, build resistance to cold and flu, and speed up healing if you do succumb. Fill the bathroom or kitchen sink with steamy water. Drape a towel over your head and lean over the steam. You can add things to the water 2 teaspoons of chopped fresh ginger, a teaspoon of the over-the-counter (OTC) menthol ointment, or a few drops of eucalyptus oil. Drink at least 8 cups (64 ounces) of liquid each day. It doesn’t all have to be water. Fluids help to thin out the thick mucus that builds up with this illness. Hot drinks may work better than cold. Avoid coffee, tea with caffeine, or alcohol. They can all dry you out. Keep taking your daily multivitamin Adults may need to take additional zinc, vitamin C, and vitamin D3 to boost immunity for effective flu treatment. You’ll also need B vitamins to help fight fatigue and weakness. For helping to clear congestion, spread some of the oil or rub into a tissue or washrag; hold it up near your mouth and nose and inhale several times per day.